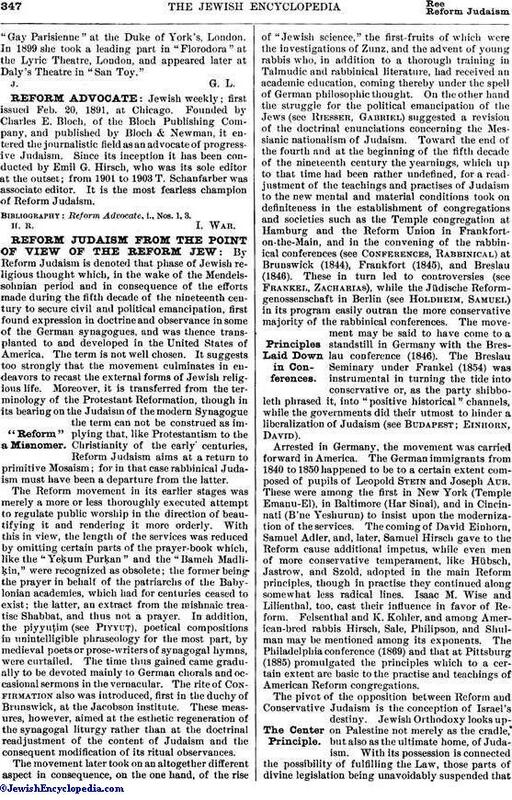 Jewish weekly; first issued Feb. 20, 1891, at Chicago. Founded by Charles E. Bloch, of the Bloch Publishing Company, and published by Bloch & Newman, it entered the journalistic field as an advocate of progressive Judaism. Since its inception it has been conducted by Emil G. Hirsch, who was its sole editor at the outset; from 1901 to 1903 T. Schanfarber was associate editor. It is the most fearless champion of Reform Judaism. Reform Advocate, i. Nos. 1, 3.